The relatively new technology of 3D printing has what seems like and endless amount of uses. The most recent is animal prosthesis. 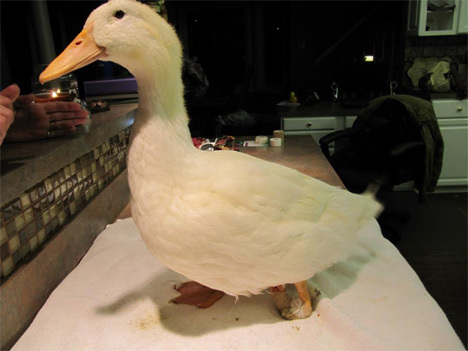 A duck was recently born with an unusual abnormality: its left foot was backward. 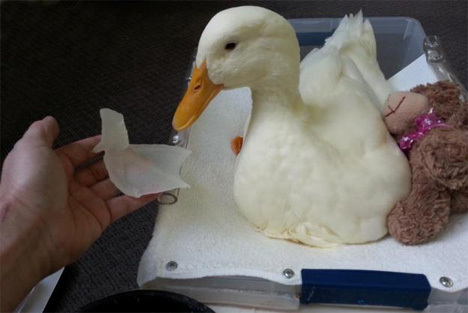 The foot had to be amputated; since then, the duck named Buttercup has lived at the Feathered Angels Waterfowl Sanctuary in Arlington, TN. 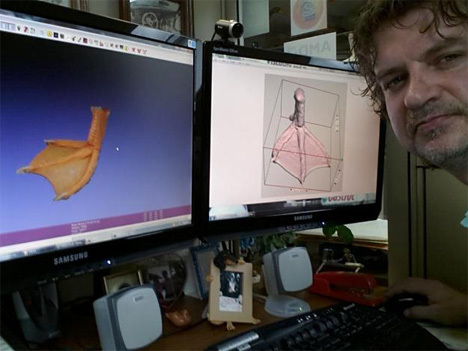 NovaCopy, a 3D printing company, designed the foot based on one from Buttercup’s sister. Because the foot has to be pliable to mimic a real duck foot, the 3D print is actually a mold that will be filled with silicone. A silicone sleeve will connect the foot to the duck. The final prosthesis hasn’t been finished and applied yet, but once it is ready Buttercup will be able to waddle and swim just like all of the other ducks. You can follow Buttercup’s heartwarming story on his Facebook page: ‘Buttercup gets a new high tech foot‘.